Warsaw, 6 December 2016 – The total addressable market for drone powered business operations is valued at over $127 bn, according to PwC estimates. The industry with the largest potential market for the commercial applications of drone technology is infrastructure, with an estimated addressable market value of $45.2 bn. Within this industry, road and railway sector operators are already beginning to gain competitive advantage through early and effective implementation of drone powered solutions at all stages of the capital project and infrastructure life cycle. A new study released by PwC entitled Clarity from above: transport infrastructure describes the immediate possible applications of drone technology in the road and railway sectors and forecasts how drones equipped with smart software will have a major impact on the competitiveness of transport network operators. “Drones and the data they provide are a game changer over the entire lifecycle of a transport infrastructure investment. Provision of real-time, accurate and comparable 3D modelling data is crucial during the pre-construction, construction and operational phases of an investment project, and all of this data can be acquired by intelligent and cost-effective drone powered solutions”. Drone technologies can be used at almost every stage in the transport infrastructure life sector, starting from construction and investment monitoring, through maintenance, up to asset inventory. During construction, data gained through drones can facilitate rapid reactions to any deviations from the plan, and in extreme cases might be used as evidence in litigation. For example, in one construction project supervised by Drone Powered Solutions, the investor had savings of approximately $2.94 million in claims settlement litigation thanks to unparalleled evidence. Other applications range from the detection and prevention of trespassing, to placement of trench protection, to enhancing site safety. For instance, the PwC Drone Powered Solutions team has calculated that the number of life threating accidents on an average construction site monitored by drones has been decreased by up to 91%. “Companies from the road and railway sector operate extensive networks of complex assets distributed over vast areas, generating high costs for investment monitoring, asset inventory and maintenance. Today, thanks to technological developments, we have new methods for performing these monotonous but important activities. According to the PwC study Clarity from above: transport infrastructure, the pace of adoption of drone powered solutions in the road and railway sectors will be driven by three main factors: financial and legal support, enhancing data processing & accessibility, and rapid technological development. At the same time, there are also important challenges that will have to be addressed in the nearest future, including aviation risk and privacy considerations. The increasing applications of drone technology in transport infrastructure projects comes at a time of large investment and heavy competition in the industry. The PwC report estimates that investments in transport infrastructure will bring global growth in capital expenditures of 4.5% annually between now and 2020. The regions with the highest forecast increases are Africa and Latin America, where investments in transport infrastructure will double by 2020. The leading region in terms of investment volume is Asia, with a forecast increase of almost $200 bn by 2020 in transport infrastructure capital expenditures, or 63 percent of the global total. Developed regions such as Western Europe and the US are forecast to increase their spending on transport infrastructure by an average of 15% through 2020. Drone Powered Solutions (DPS) is a global centre of excellence located in Europe. The team helps clients from various industries to maximize the potential benefits offered to their business by drone technologies. Established in Poland in early 2015, it is the world’s first professional services consulting team dedicated to industrial and business applications of drone technology, and its location in Poland is no accident: Poland is one of the first countries worldwide to have adopted detailed laws regulating the industrial use of drones (as early as 2013). Over time, DPS has worked with clients from various industries on testing applications of drone technology in their operations. Drone technology proves to be a powerful tool for many sectors of the economy. The latest PwC report about drone technologies can be found at http://pwc.to/2fZVwc3. 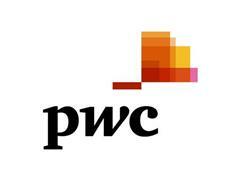 PwC has been active in Central and Eastern Europe for the past 25 years. PwC Central and Eastern Europe (PwC CEE) is a network of firms, consisting of separate legal entities in accordance with applicable local laws and regulations. We work to help our clients in local markets become more successful and globally competitive. Today we have more than 8,800 people, including 260 partners, working in 55 offices across 29 countries in the region. “PwC” refers to the network of member firms of PricewaterhouseCoopers International Limited, each of which is a separate and independent legal entity. Please see www.pwc.com/structure​ for further details.